April 24 from 2 p.m. – 4 p.m.
Make it new, make it fresh, cut the clichés – this is classic and helpful advice for writers who want to publish. But it’s not easy. 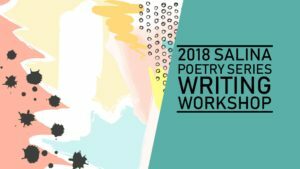 During this workshop we’ll consider how surrealist techniques can add unexpected and delightful pops to a poem that will help grab an editor’s attention. Writing exercises inspired by the Surrealist tradition will help you bring new life to unpublished poems and jump-start new, promising pieces. There will also be time to discuss how to find the right market for your finished work. Register for this free workshop at the library or at goo.gl/YgQRFx.